Goldman Sachs Group Inc. reported Tuesday its second-quarter net income fell 83 percent, to $453 million, as its trading revenue fell and it booked a charge for its settlement of civil fraud charges with the Securities and Exchange Commission. The company's revenue fell short of expectations and sent stock prices falling. Goldman followed IBM Corp., which late Monday reported revenue that disappointed investors. Shares dropped $3.67 to $142.01 in early trading. Goldman took a $550 million charge to cover the cost of the settlement with the SEC that was announced last week. Earnings were also reduced by a one-time, $600 million charge tied to a new tax on bonuses in Britain. Excluding the one-time costs, net income after payment of dividends on preferred stock came to $2.75 per share, easily topping the $2.08 analysts forecast. Analysts typically exclude one-time charges from their estimates. Revenue fell 36 percent to $8.84 billion, short of the $8.94 billion predicted by analysts. Goldman's trading revenue fell along with that of competitors including JPMorgan Chase & Co. and Bank of America Corp. that were hit hard by the spring plunge in the stock market. The drop in their revenue is adding to investors' concerns about how new federal regulations will affect banks' ability to profit from trading operations. New York-based Goldman, considered the strongest of the big investment banks, said its trading revenue drop 39 percent to $6.55 billion. Goldman historically has had revenue from its bond, currency and commodities trading business that beat analysts' forecasts. Now, those revenues are slipping as market volatility replaced the steady gains seen through most of 2009 and earlier this year. The company said its revenue from trading of bonds, currencies and commodities fell 35 percent from a year earlier, while revenue from stock trading dropped 62 percent. During the first three months of 2009, the markets were soaring as they recovered from the financial crisis. But during this latest quarter, the Standard & Poor's 500 stock index fell amost 12 percent. With the added market turbulence, Goldman's corporate customers were issuing fewer bonds and shares of stock. That hurt the bank's investment banking business during the quarter. Revenue in that unit fell 36 percent to $917 million. By taking a charge for the SEC settlement in the second quarter, Goldman was attempting to put the entire case behind it. 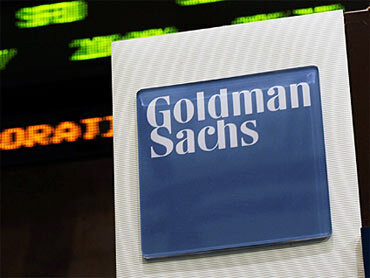 The government had filed civil fraud charges in connection with Goldman's sale of complex mortgage-related securities. The company reported that its costs for employee compensation and benefits came to 43 percent of its net revenues during the first half of the year. That compares with 49 percent in the first half of 2009. Goldman has been sharply criticized over the past year because of the huge bonuses it gave its employees while it accepted government bailout funds in 2008.